« Whose Shoes Wednesday…The Answer! Manolo says, here is the latest column of the Manolo. I’m going to be visiting San Francisco for a friend’s wedding in June. While there, my husband and I will be visiting as many vineyards as my bridesmaid duties will allow. Could you please recommend some fun yet comfortable shoes that would be appropriate for such a venture? 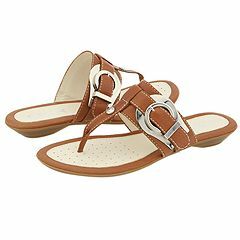 Manolo says, finding the proper shoes for the summer wine country trip is the question near to the Manolo’s heart and belly. Indeed, the Manolo spent most of February in Chile and Northern Argentina, touring various wineries and partaking extensively of the fruit of the vine. Frankly, the Manolo is not much of the wine expert. He is more of the amateur enthusiast, avidly gulping glass after glass of bold reds, while his more refined companions sniff, swirl, and expectorate knowingly. As for what to wear to the winery, the Manolo would remind his friend that rural California is hot and dusty and exceedingly casual in June, and so it is best to dress accordingly. Look, here is the D Tori by Geox! This entry was posted on Friday, March 13th, 2009 at 7:39 am by Manolo the Shoeblogger and is filed under Sandals, Shoes. You can follow any responses to this entry through the RSS 2.0 feed. Both comments and pings are currently closed. As someone who visits the Napa Valley wineries on a regular basis, I wouldn’t dress too casually. Attire tends to be smart (lots of wedding parties, bachelorette parties, etc). It also won’t be very hot in June–80 degrees at the most, since this is north of SF. That said, the sandals are still a good pick. Very stylish and a great recommendation! “The coldest winter I ever spent was a summer in San Francisco”. So I agree with the Manolo’s lovely recommendation, but bring a pair of warmer shoes and layered clothing to take along for the ride….foggy summer mornings and evening can be surprisingly cold, here, combined with lovely warm-to-hot days! I love Geox! They also make a lovely balerina flat that is the perfect walking shoe if you prefer something closed toe or a bit dressier. It comes in many colors. I could walk for miles in mine!